tability—will be worth the effort. Experience has shown that the key is to build a relationship with a trusted partner who has experience with hundreds of clients. 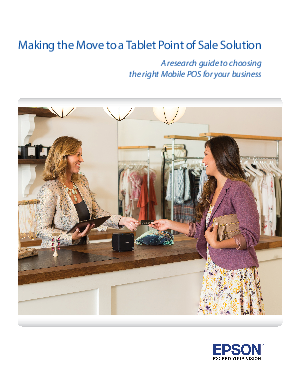 They will help design the right tablet POS solution for your business and be there to provide customer support and guidance in the future as technologies and customer expectations change.